The new 155.5 Palma bullets should be available in 2-3 weeks. The 175s, 185s, and 210s, should be at vendors in 6-8 weeks. The new bullets will supplement Berger’s line-up of 30-caliber VLD bullets, currently offered in five different sizes: 168gr Match VLD (0.512 BC), 175gr Match VLD (0.528 BC), 185gr Match VLD (0.556 BC), 190 gr Match VLD (0.574 BC), 210gr Match VLD (0.631 BC). For more INFO, contact michelle.gallagher [at] bergerbullets.com. 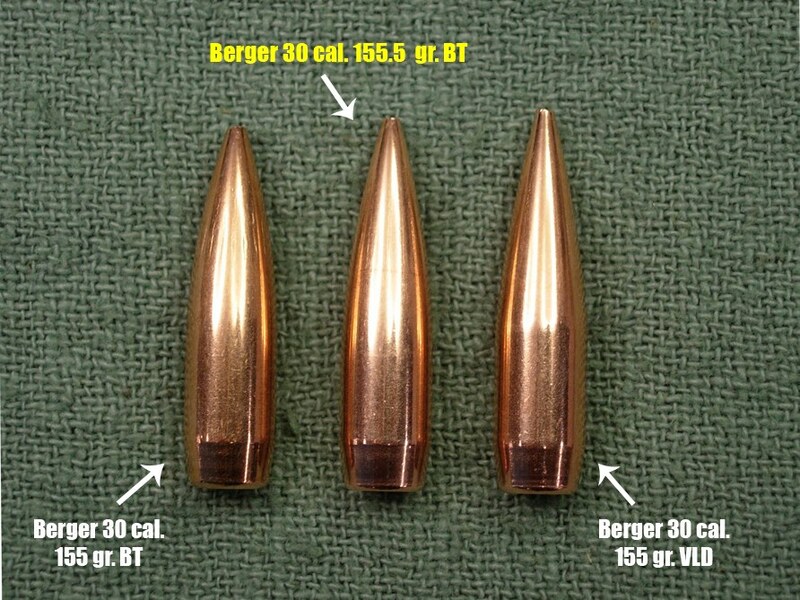 Share the post "Berger Releases new Non-VLD 30 Caliber Bullets"
I was a testor for the 155.5 gr BT bullets pre-production. They shot better than the Sierra 155 Palma bullet. Get the 155.5 BR 30 caliber and you will not be disappointed. I have the 175 grain bullet to test, but thw weather has been such that I am waiting for it to calm. This should be THE bullet for non-Palma barrel length 30 caliber rifles out to 1000 yards or beyond. I’ve been wanting to load the Berger bullet in my 308 Norma Magnum However,I can’t find any loading data for the 308 Norma Mag. As a matter of fact, I can’t find a berger reloading manual here locally. 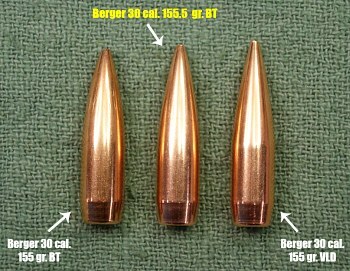 I would appreciate any data you have for the 308 Norma Mag so I can try these Berger Bullets. High I just bought some Berger vld hunting 30.cal 210 grain I will be shooting out of a rem.700 aac-sd 308 1-10 twist berral I can’t seem to find and reloading data for this round, my components are nosler custom brass,Fed 210 primers,imr -4895 powder. Any help would greatly be appreciated thanks..I need a good coal too if possible..